JAMIE’S STORY: I started playing Beach Volleyball when I was 15 years old, and fell in love with the sport immediately. Not only is it physically demanding, but it is also an incredibly mental game that requires a huge amount of strategy and awareness. It’s a sport that requires you to be extremely well rounded, since your opponent will be trying to attack your weaknesses and expose any holes in your game. My first success on the sand was capturing the gold medal at the U18 National Championships, later followed by the U20 and U24 titles. In 2004 and 2005 I was selected to represent Canada at the U21 Youth World Championships, which was a huge honour and my first taste of international competition. Although I knew my heart lied with the beach volleyball game, I decided to play out my eligibility on the indoor court while completing my Commerce degree at UBC. After graduating from University I was ready to commit myself to full-time year round training for Beach Volleyball – instead of only playing in the summer months. Just as all my plans seemed to be falling into place, I was cut from the National Team and told that at 5’7” I was too short to be able to compete internationally. This came as a huge blow since it was my plan to pick up and move to Toronto where the National Team was centered. Although in the moment I was devastated, I had also never felt more driven with the will to succeed against all odds. I made the decision to move across the country away from friends and family anyways, to train within the program and keep my dream alive. Six months later, I was named to the National team again – mid season. KRISTINA’S STORY: I’ve been playing this sport since 2006, when it was first introduced to me as a form of off-season training for my university indoor volleyball team. I loved playing volleyball at UofT, but I really fell in love with beach volleyball as soon as I stepped on the sand. I made the National Team the year I graduated in 2010. I’ve been playing and training hard ever since. This sport is a fantastic way for me to push myself, remain focused and pursue excellence in everything I do, not just volleyball, but in life too. Every day I'm tested on my discipline, determination and dealing with constant pressure to be the best person I can be. It’s a huge commitment, a lifestyle, and I couldn’t be happier doing what I do. I found Jamie at the end of the 2011 season. I’m really impressed by her hard-working, never-give-up attitude. She is competitive, gritty, and a fighter, and somebody I am proud to share my side of the court with. We share an awesome friendship, mutual respect for one another and get along well off the court, which is a good thing, because when we travel we spend 24/7 together! We’re aligned in our commitment to putting in the effort to achieve our goals. We believe in ourselves and we believe in each other. Building a relationship playing and improving together over 2 years, we know we have what it takes to be a top team. THE SITUATION: The beach national team program has extremely limited funding. Some countries fully cover the costs for their athletes to travel and compete all over the world, unfortunately Canada is not one of those countries! We have had to make it work with what we’ve got, which is each other. We can be our each other’s therapists (Jamie spent almost an entire season taping Kristina’s ankle when she had severely sprained it), video technicians, and coaches on the warm up court. We’ve developed their own system for warming up for matches even though there is no coach to serve and help us prepare like other teams. The fact that we can be competitive on the international level given the adversity we have to deal with makes us even more certain we have what it takes to be the best! Another issue we deal with being Canadian beach volleyball athletes are the cold winter months. This really cramps our training style! Our national team program has set up an indoor facility for us athletes to train when it’s too cold to hit the beach in Toronto. However, this is not an ideal set up for us. Not only is it cold, we are not exposed to any of the real elements of our sport, like the sun and wind, which make up a big part of the challenge of the game. We’re also pretty isolated, having no international training partners. We only have the same few Canadian teams, which are good teams! But in order to get to the next level, we need to be where all the top teams in the world are training. Our limited funding is not enough to cover our costs of travel and living expenses. We want to be able to train and compete with the top teams in the world, which means spending time in a warmer training climate leading up to next year’s world tour season. In order to do this, we need your help!! We’re asking you for support because we want to include you in our journey, share our successes and make you proud to be a part of making dreams come true. Our goal is to represent Canada in the 2015 PanAm Games in Toronto and the 2016 Olympic Games in Rio de Janeiro. Your support in this endeavor would mean the world to us, not only because you’re enabling us to maximize our training, but also to know that you are behind us in our pursuit of excellence. In return, we offer givebacks! Check out the list and see what you’d like to receive in return for sharing some love! Thank you! Make sure you check out our giveback for Justin Timberlake tickets!! Shout out on social media platforms so that everyone knows how amazing you are (we know, you rock). If we happen to cross paths, you better believe you are getting a hug or a high-five! Postcards sent from the road as we travel around on tour, letting you in on the funny/unique/inspiring situations we encounter. Of course, shout-outs, hugs and high-fives as well. Thinking you need a night out? 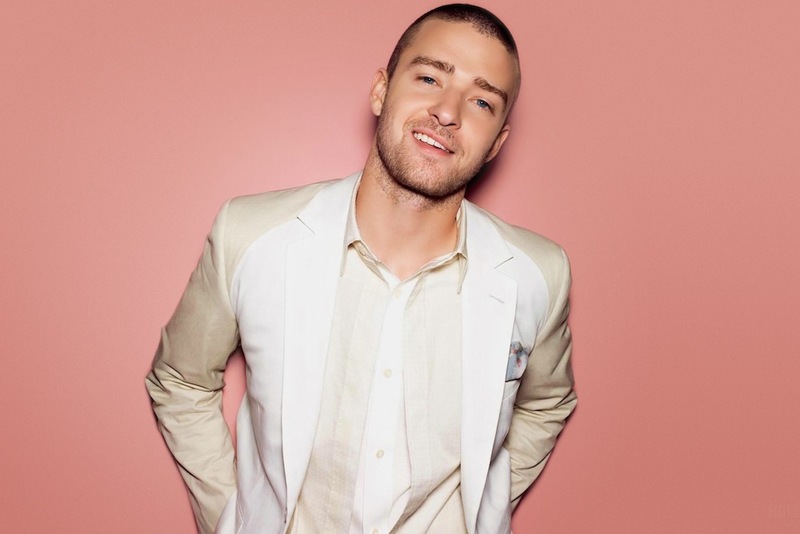 Be entered in our draw to win two tickets to see Justin Timberlake in Toronto! You'll receive an autographed action shot of Kristina and Jamie in competition, along with postcards and shout-outs! Want to stay up to date with everything volleyball (both indoor and beach) in Canada? Volleyball Source Magazine is the answer! You’ll get a year subscription for this awesome online magazine. Postcards, shout-outs, hugs and high-fives included. Every event we play in around the world has it's own unique competition top, we'll send you one to say thanks for helping us get there. Along with postcards and shout-outs, you’ll get to chat with us on the road through Skype. Ask us any questions you have about who were are, what we do and anything else you’d like to know! We’d love to get to know you too, and thank you for your support- face to face! You can look as awesome as we do on training and travel days with some swag from our sponsor at Overkill Clothing . You’ll get a backpack filled with apparel and other goodies! Plus shout outs, hugs and high-fives. Don’t be fooled, this day won’t be about lounging around on the sand! If you’re in the Toronto area, you and three friends will spend a day at the beach with us- it could be at our indoor national training centre, or at Ashbridges Bay, weather permitting. We’ll tell you all about the game, teach you the skills you need to play and even challenge you to a match! Bring your game face. With this kind of help, we might be accused of too many players on our side of the court! We wish we could take you everywhere with us, so how about your company name/logo does the travelling? $1000 makes your logo the banner of our team page for a month so you’ll get tons of exposure from our fans! $2000 gets your logo on our travel gear and backpack, plus warm up apparel $3000 gets your logo on our visor and arm bands when playing in competition $5000 gets your logo on our bikini bottoms! You know people will be looking…..